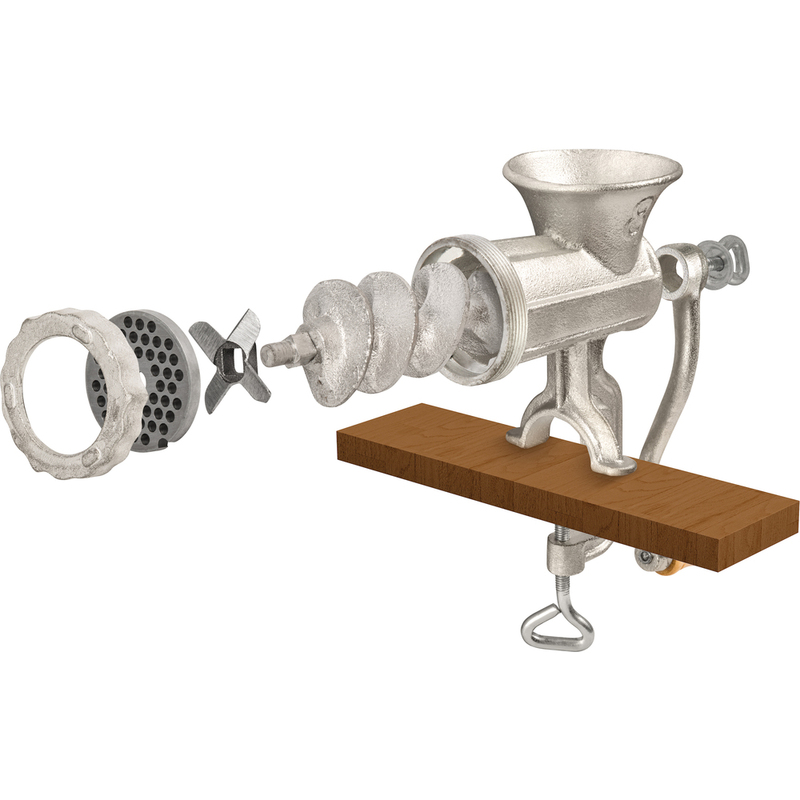 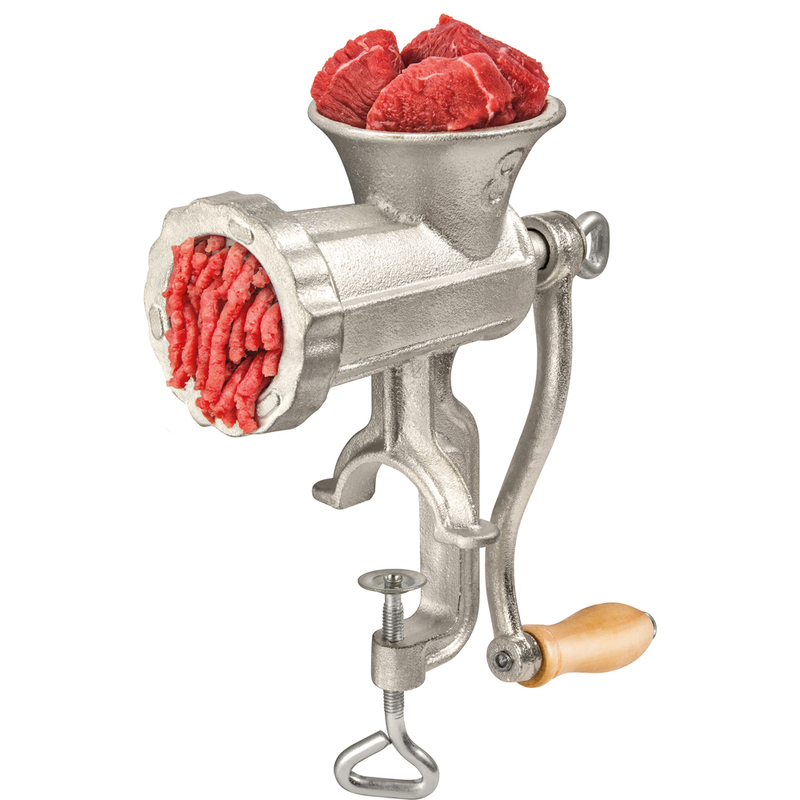 Meat mincer with clamping mechanism and a wooden crank grip. 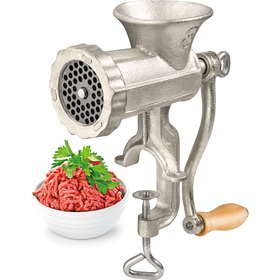 The mincer is made of quality cast-iron. Full disassembly option allows easy cleaning.